These days. More and more people are looking for better ways to take control of their life, feelings and emotions and natural treatments to help them make healthier and long lasting, life transformations. Natural self help therapies such as self hypnosis have been gaining more and more popularity over the last few years. There is a good reason for this, given the number of people who have already benefited from using self hypnosis, and given the number of positive feedback from many research conducted studies. Which have favourably, revealed the many positive benefits and life transforming effects of the highly relaxing and therapeutic healing powers, of self hypnosis. With all the glowing reports and positive successes of self hypnosis, it is hardly surprising that more and more people are turning to the magical healing properties, of self hypnosis. If you're struggling right now and you're looking a trusted and proven way to ease your emotional suffering, change your life for the better and excel in many new ways, than you might have thought was possible. Then it may be well worth if for you. To, seriously consider, giving self hypnosis a go. Because deep within you. You posses way more power and abilities, then your everyday thinking mind, could possible know or even, begin to comprehend. Self hypnosis, has widely regarded as one of the most powerful and effective ways, that can be used to improve and treat your emotional, physical, and mental well-being. As well as being an excellent tool, to enhance your successes, help you to make life transforming changes, unleash your inner potential and better your life experience. Helping you to dig deeper into your true powers, helping you to continually grow and develop as a person and helping to to aim higher and achieve more. In fact. Self hypnosis has been found to help you improve and better, just about everything in your life and the possibilities for personal growth and success, are limitless, with the right mindset and emotional control. Self hypnosis can help you in many beneficial and effective ways. Ranging from managing your stress, bettering your relationships, wiping out fears, eradicating negative thinking, controlling your emotions and restoring calm, balance and inner peace. It can also help with weight loss, overcoming addictions, changing your bad habits and bettering your life in many other exciting and healthy ways. When you learn how to still and direct your mind by eradicating all the bad stuff and self imposed limitations and filling it with new positive instructions and software. Then your life will get better and anything becomes possible and achievable for you. With all the positive benefits of self hypnosis, which carries no side effects. It is no wonder that so many people, including the young, the troubled, the successful, the professional and the elderly. Are now, using the power of their own mind. To free themselves of their bad habits and thinking patterns, to help them get better results and to improve their performance levels. These days more and more people are struggling with emotional issues, too much stress, addictions and bad habits. Many people, have reached a point where they are just to over stimulated and they just cannot find ways to relax their body and switch off their negative mental chit chatter. Some people think that relaxation is a luxury thing that they do at weekends or when they're on holidays. However the real shocking, truth though is. Relaxation is a necessity, if you want to have a clear mind, inner peace, better quality of life, better health and better wellness. If you regularly, use deeply relaxation techniques like self hypnosis. Then there is growing evidence, to suggests that you it can also help you to look younger, improve your health, feel better and even can live longer. It will melt away all your tension and stress, providing you with the much needed relaxation that your body and mind requires to repair and restore itself. Giving you clarity of mind and peace of being. Self hypnosis will allow you to access the control panel of your mind. So you can end all your suffering, allowing you to make those life transforming and positive changes that you're seeking. We all need to take good care of ourselves and we all need to take a good look at ourselves and make any positive and life transforming changes that are necessary, otherwise we we carry on suffering . Through our conditioning and negative life experiences. Our minds become full of negative programs and patterns that dictate all our habits, thinking patterns and behaviours. Our subconscious programming is what runs us and to a large degree, determines our reality and everything we do or don't do. Change the programming of your mind and you will transform you and your life for the better, self hypnosis can help you to achieve this. Your negative programming will keep you small, stuck and limited. Self hypnosis can help you to change the programs of your mind. Freeing you from your emotional baggage and allowing you to be the calm, happy, successful and limitless person, that you truly are. Helping you to release any fears and self imposed limitations that have stopped you from living and prevented you from unleashing your true limitless potential and inner strengths. The benefits of self hypnosis do not stop there. Because it also one of the best ways to help you to reduce stress and anger, which is responsible for many health related issues and relationship problems. There is also another thing, about self hypnosis, that might surprise you. Self hypnosis can also help to tremendously improve the quality of sleep and we've all heard about the risks of poor quality sleep. Allowing you to quieten that relentless mental chit chatter. Sending you off into a deep restful, restorative sleep which is the recipe for a better functioning life and more happiness. Imagine if you could rid yourself of those self destructive negative emotions, eradicate your bad habits and self limiting your negative thought processes and feel a deep sense of inner peace at the same time. So you will have a deep and peaceful night's sleep and you will arise in the morning feeling energized and empowered. As you awake feeling calm and ready to face and breeze through any challenges of the day, knowing that all your problems are behind you and you will be at your peak performance best. Self hypnosis can help you feel grounded in the present, putting you in the optimal state of flow and balance. This is where you are at your most efficient, creative and productive best. The one thing that everybody wants the most, is to feel good. Because feel good and at peace is the elixir, for a great, happy and fulfilling life. If your ready to give self hypnosis a go, then why not go over and browse through, over 800 hundred powerful self hypnosis recordings and begin to change your life for the better. There are still a lot of myths and mistruths regarding self hypnosis that are preventing a lot of people from receiving the help they so badly need, that need clearing up. I have personally used self hypnosis for many years and it is a very enjoyable and life changing experience. Self hypnosis is a perfectly safe, natural, relaxing and therapeutic tool that should not be ignored. It is the same kind of trance state that we all enter each day, when we are driving or reading or when we are daydreaming. I use it all the time and it is a very highly enjoyable, beneficial and deeply relaxing, pleasant experience. The important question you have to ask yourself. Instead of putting up, accepting and trying to carry on living with all your stress, negative emotions and bad habits that are holding you back and make your life a misery..
Why not, find new ways to teach yourself how to be free of all your emotional suffering, how to get rid of the bad and replace it with the good and how to make the most of your true potential and creative abilities and talents? If you're looking for a natural technique to transform your life for the better. Self hypnosis is a powerful tool that can help you overcome psychological difficulties, heal your emotional wounds and much more. Self hypnosis is perfectly safe and it is ideal for anybody who is looking for a natural and a highly enjoyable, deep relaxing experience that will bring about positive, profound and lasting changes. It can help to take you from where you are at to where you would like to be. These days, there seems so much unhappiness about and so many people seem to be suffering with mental health issues, emotional problems, stress, addictive behaviors, bad habits, worry, insecurity and low self esteem. Alarmingly these negative trends seems to be on the rise and for many people their lives, behaviors, feelings and emotions have got out of control. Everybody has seemed to lost their way and they have got themselves stuck in a negative state and cycle of unbalance, distress and disharmony. We all know the benefits of being and feeling positive and we all know the dangers of stress, destructive negative habits, negative thinking patterns and emotions. However it is impossible to feel positive and calm with a negative mindset and negative habits, behaviors and conditioning. Many people try to think their way out of a bad feeling place and mindest. The easier option, is to change your inner subconscious programming and change your feelings. Self hypnosis is the the tool that can do that for you in the quickest time possible. We all need a bit of help and we all need a tool that can use in the comfort of our own homes. That can free us from our emotional suffering, calm our worried and restless mind, restore blissful feelings of inner peace, balance and harmony, lift our mood and spirits and install our happiness within us, once again. Self hypnosis is that tool which can be your personal friend, practitioner, emotional healer and tool that can set you free of your emotional suffering, replace your bad habits and addictions, give you the body you want and much, much more. Hypnosis can be described as a perfectly natural and safe, deeply relaxed and empowering state of a narrowed focus of attention which can accelerate learning and bring about profound and positive life transforming changes. These days there is increasing scientific evidence to back up the efficiency and effectiveness of self hypnosis for treating and overcoming a wide range of conditions ranging from. Self hypnosis is a wonderful, natural and powerful tool that can help you make profound and life transforming, positive changes faster than any other techniques? Self hypnosis is also a great way to boost your confidence levels, change your negative programming and help you to achieve your personal goals and go beyond the limits and restrictions that your day to day conscious mind would have you believe. If you have a problem, a bad habit or you are being plagued by negative thoughts and feelings. Just, imagine in a few weeks from now and you have been listening repeatedly to a self hypnosis recording and all your negative feelings and problems that have been plaguing you for so long now have have just melted away. Think about how great it's going to be and the sense of relief you're going to feel. Now that you have changed your negative and self limiting emotional conditioning and negative ways of feeling, thinking and behaving to new, calm, happier and positive ones. Picture, this new happier, healthier and more successful you. How self hypnosis can help you? Learning how to control your emotions and change your bad habits and behaviors is a vital and essential skill that is the foundation, for good mental health, achieving more success, good well-being and better general health. Unlike it was for our early ancestors. These days many threats and fears we have are created inwardly yet they still feel as real as if we were being attacked by a wild tiger. When a fear or negative emotional conditioning has been created internally. It has to be uncreated internally and self hypnosis can help you to achieve this vital process. Everything, is all about feelings, actions and behaviors. The good things that you do, your success levels and the good things that happen to you. Your levels of confidence including the calm and good feelings that you feel. And everybody wants to feel good and live the best life possible. All, come down to your positive habits, thought processes and your emotional conditioning. This rule also applies to the negative thoughts and feelings that you have. And, the feelings of low self confidence, lack of success and the negative, unproductive and unhealthy habits that you have and your negative emotional conditioning. Are determined by your negative and unhealthy habits, negative feelings and your negative emotional conditioning. Change your bad habits, change your emotional conditioning and your negative thoughts and feelings, and you and your life will change for the better. Self hypnosis, is a powerful tool that will help you make those positive transformation and changes. Many people struggle to control the emotions, feelings and behaviors, because they have never been taught how to do it. Negative feelings and emotions, not only make you feel bad and uncomfortable. So it is pretty important to learn how to control your feelings and emotions. Those who do learn how to master their mind, feel and emotions. Those who don't experience a life of immense emotional pain, stress and suffering. Virtually, everything we do and feel is a habit and pattern of behavior. If you have developed bad habits and behaviors then they can negatively impact and influence you in many unhelpful and unhealthy ways. We are often told not to suppress our emotions, which is absolutely right. Some people advise people to express their emotions. But does this really help you to control your feelings and emotions? Expressing your emotions. Might give you a bit of temporary relief but it won't change the pattern of behavior. The other problem with using the technique of expressing your emotions to release them. This can learn your brain to reinforce and strengthen the negative feelings and responses. An example of this is. If you keep responding with anger in a specific situation. Expressing your anger might give a bit of temporary relief. But unless you change the way you feel and respond. You will carry on responding with anger. The same principle applies with all negative emotions and feelings. This is how the brain works. The more you feel the emotions, the more you learn to feel them and it increases the chances of you carrying on feeling and experiencing them. Positive thinking is a good habit to follow. But, it won't always change your conditioned emotional responses, bad habits and behaviors. The best way to control your feelings and emotions is to learn how to change the feelings and change your emotional responses and emotional conditioning. Self hypnosis is a great way of teaching you self mastery and self control, allowing you to live a comfortable and happier life. Because when you change those negative emotions. You will no longer be feeling. And when you're no longer feeling and experiencing any of those negative emotions. Your mind and body will return back to its natural state of calm, feel good and balance. These days, many people are taking control of their own life and well-being and there are already thousands and thousands of people around the world who have already benefited from the power of self hypnosis recordings. Which are being created with the latest research and powerful life changing techniques to maximize your results, which are affected and easy to use. If you feel like self hypnosis is the right choice and course of action for you. Type what subject you're interested in or what you want to change or improve in the search box of the world's biggest and most trusted self hypnosis download site, below. Make sure you allow enough time for the powerful self hypnosis sessions to perform their magic. Self hypnosis has many positive advantages over some of the other therapies and counselling, especially for emotional, mental health issues, confidence and personal development. Because it is inexpensive, easy to obtain, it has no side effects and you can do it in the comfort and privacy of your own home, it is also a very enjoyable and deeply relaxing experience. Self hypnosis is so effective because it works directly with the part of the mind that deals with emotions, feelings, behaviors and compulsions. Helping you move away from your emotional pain and suffering, release your emotional baggage and troubles, leaving you experiencing a inner sense of bliss, calmness and emotional and physical balance. It is a great way of freeing you from your mental blocks and your self imposed prisons and limitations. Most people live their lives in the negative shadow of their past. They are dogged by daily, repetitive negative thought patterns, self destructive emotions and limiting beliefs which are holding them an emotional prisoner and victim to their past negative experiences and conditioning. Self hypnosis will help you release your emotional baggage that has been waying you down for so long and keeping you small, limited and stuck. Making you more powerful, energized and empowered, by relaxing you and freeing you from your self restrictions and your self imposed mental imprisonment. Stress, tension and destructive thought patterns, beliefs and negative emotions, will disempower you tremendously, keep you stuck in your comfort zone, stop you doing new things, hold you stuck in survival mode and blockout your creativity, intelligence and true power. Life is full of wonderful and spender. We all have the freedom and choice to think and feel as good as we want. Life also offers you limitless potential and opportunities for betterment, growth, fulfillment and success. All the good and everything you want is your for the taking, once you let go of your emotional pain and you decide to grab it by both hanfs. So what is the point in suffering and why spend all your life living it in the past, stuck in your comfort zone and being controlled by your negative thoughts, habits, beliefs and feelings. When there is a much better way of feeling and living. Because, when you change your negative beliefs and feelings, you will fill your body with calm and positive energy. Through the power of your mind, and relaxation. You can change, and become or do anything that your heart desires. Self hypnosis will help you to silence that little you, so you can relax that mental chatter, calm your body and make those positive and life transforming changes. Allowing you to become that limitless and expansive, happy and true authentic you. These days. More and more people are taking control of their own quality of life, health and emotional well-being by turning to natural techniques to help them overcome their emotional traumas, stress, negative feelings and other issues. As well as using natural techniques to help them pursuing and achieve personal excellence and personal development. We all know about the risks and the potential harmful effects of too much stress, bad and unhealthy habits and negative emotions. Most of the time. The only difference between a happy and successful life and a life of struggle, emotional suffering and self limitations is our thoughts and feelings. They say "You're only limited by your imagination"
But you're also severely limited and restricted by your thoughts, bad habits and feelings. Change these and you will change your life for the better. Self hypnosis a powerful tool that will help you have a free mind, a calm and balanced body and assists you to be a happier and more successful you. It is far better to try and find natural and safe ways to end your emotional suffering, rather than just accepting that you will have to put up with them or use temporary distraction or coping techniques indefinitely. Negative thoughts and feelings will have you going around in circles, holding you stuck in a vicious and negative, self destructive loop. Self hypnosis can help you to break free from these negative cycles and loops. Hypnosis is a term that is often misunderstood, largely because many people oppose what they don't understand or because of what they have wrongly learned or been told. Hypnosis is often described as a trance like state or a sleep like state and even though it perfectly safe and used by thousands of people, it is still classed by some as being a bit controversial. The real truth is. It is a perfectly natural state that we all go in and out of on a daily basis. We all have those moments where we go into a daydream or where you're so focused on something, that you shut out the world around you. Or when you're zoned out watching a gripping film, you're on a long and boring drive or you're really engaged in reading a book. All these are trance like states, in fact, you're always in a certain state of being at all times. Unfortunately, most people get stuck in a negative, stressful and destructive state. Hypnosis, is just a pleasant and deeply relaxed state of zero resistance. Which provides you with some much needed relief, restbite and rest. Allowing your body to recover and your mind to be freed from the stresses and strains of the day. During this deeply relaxed and tranquil state, you then make positive and beneficial changes. Relaxation is a necessity and if you can combine deep relaxation with a therapeutic technique, then you're on to a winner. Self hypnosis ticks all the boxes on this one. It is very hard to change if you're stuck in the negative state and mindset that is causing your problem. Self hypnosis is all about using the power of your own mind and body to bring about personal positive changes and transformations. On an emotional, personal and physical level. It is a perfectly safe and natural tool to help you unlearn and undo any negative or unhelpful programming and relearn new and better ways of doing, perceiving, behaving, performing and feeling. Self hypnosis is also an excellent way for helping you to. Let go of your negative past, change any negative thinking patterns and feelings, to calm and positive feelings and thought processes. For your own well-being, successes and quality of life. It is important that you change all your self imposed mental blocks, limitations and negative feelings to more supporting ones and to more positive and calm feelings and emotions. I have personal, used self hypnosis for many years now and I find it both therapeutic and deeply enjoyable, helpful and relaxing and it is a great way to help you move away from a bad feeling place. Self hypnosis has been designed to help you overcome lifelong worries, emotional trauma, feelings of self consciousness and self destructive, habits, addictions, self sabotage and negative thought processes. Most self hypnosis recordings begin with a deeply relaxing induction, transforming your energy to those sweet feeling positive and calm feelings. So not only will hypnosis help you to change your life for the better. You will also receive many positive health and well-being benefits, because of all the much needed relaxation you will be getting. This is why self hypnosis is so beneficial and helpful. Because it works in two positive ways. First, it helps you to feel relaxed and because you feel relaxed, you will sleep better, you will feel more energized and you will feel less stressed. Secondly. It will help you to stabilize and manage your emotions, better your life. Or help you to overcome your problems and emotional traumas. By helping to to change the way you feel and think about things. When we change our inner feelings and mindset and we let go of our emotional baggage and past negative conditioning. You will notice and experience many positive changes and opportunities on the outside. Emotional problems and unpleasant feelings and sensations operate on a feelings level. Therefore. If you want to transform your life for the better and free yourself from your emotional problems, it is essential to change your feelings. Our problems, outside influences and our negative life experiences. Make us who we are, even if it is what we don't want to be. Self hypnosis can free your from your negative past, your limitations and what you don't want. When you release and let go of your negative past and you start to break free from the shackles of the little you, so you can let in the bigger and more expansive limitless you. Then your mind will begin to open up and you will begin to expand your awareness to who you really are and what your are truly capable off. When we are dogged by negative feelings and thinking patterns. Our mind and body will remain stuck in a state of disharmony, unbalance and disagreement with yourself and life. Not only do we suffer emotionally and feel bad, we also stay small, limited and stuck. But, when you restore balance and change your negative programming. You will begin to unleash your true powers, abilities and talents and brand new exciting possibilities, opportunities and probabilities will begin to unfold in front of you. Because there is more power, talent and creativity within you, than your everyday logical mind could ever possibly comprehend. For years now millions of people around the world have been struggling to release themselves from their self imposed restrictions, limitations and their emotional prisons. Many people are stuck in a vicious negative cycle or they are struggling to break free of their self destructive bad habits, addictions and self created restrictions. Others are to scared to attempt to do anything, say anything or try anything new because of their crippling fears and insecurities. We are all born with high levels of self esteem, bags of confidence and limitless abilities and potential. But, our bad experiences, lack of understanding and self imposed limiting beliefs, bit by bit erode this confident, fun loving and adventure seeking part of us. As children we rely on our parents to comfort us, ease our pains and help us deal with our feelings and insecurities. But, you were never told how to manage your feelings and emotions or solve your problems, when you were old enough to go it alone. This has left most people feeling helpless, lost, confused and suffer unnecessaryily. Because they have never been taught how to manage their feelings, mind and emotions. If you do not learn how to be the master of your own mind, feelings and emotions. Then they will control you, they will control whom you become, they will control your perceptions, they will control your actions and behaviors and they will dictate your person successes and the quality of your life. Your mind and body are like a biological computer. If you know how to program the software of your mind. Then you will be able to free yourself from all your self destructive bad habits. You will be able to let go of your emotional baggage and free yourself from your negative conditioning and negative thinking patterns. You will be able to release yourself from your self imposed prison. You will become the master of your own mind, body and emotions. You will sleep better, feel more energized, healthier and you will feel less stressed and more in balance. You will be more successful, you will move away from the little me and you will be able to tap into your true powers. You will be able to increase your self esteem and self confidence and you will be in charge of your own life, mind and destiny. Self Hypnosis is one of the most powerfulest of ways to reprogram the software of your mind. Self hypnosis can end lifelong emotional issues, eradicate bad habits and provide you with many positive benefits to soothe and heal, your mind, body and soul. If you're looking for permanent changes and transformation for the better. Then, self hypnosis is a powerful, safe, natural and effective tool for change and a step in right direction. Better well-being, better health, better quality sleep, better quality of life, reduced stress and anxiety are among the many benefits of self hypnosis. Many emotional trauma issues, problems and self limitations are a result of negative programming which is throwing your mind and body system out of balance and sync. Bringing about a state of disharmony and disconnection, to who you truly are. When you release or change your bad habits and bring your mind and body back into balance, flow and sync, your emotional problems and self restriction will begin to melt away. Self hypnosis can help you to achieve a better and more calmer, balanced state of being. Helping you enjoy a happy and free mind and a relaxed and balanced, better feeling body. Many people have preconceived negative perceptions regarding hypnosis even though hypnosis is safe and perfectly natural, in fact it has been used for centuries and it will be used for many years to come. Hypnosis gives you some much needed deep relaxation, restores your body, boosts your energy levels, improves the quality of your sleep and reduces damaging and harmful stress. If you feel as you're seeking emotional freedom, emotional stability and betterment and you feel you're ready to enjoy the many positive health, emotional and life changing benefits and rewards of self hypnosis. If you want to learn and change with the help of the experts and the world's leading and biggest online therapists and specialist in self hypnosis. Self hypnosis, is nothing more that a very pleasant and enjoyable relaxing state. Just like you go into when you're daydreaming. Whilst you're in the deeply relaxed daydream state, you can release your destructive negative habits, thought processes and emotions and you can make those all important life improving changes. Everybody is in a state all of the time. Anger is a state, anxiety is a state, worrying is a state. Unfortunately, most people are stuck in negative and self destructive emotional states. The good thing about self hypnosis is. It will take you out of those negative, stressful and self destructive potentially harmful states and it will transform you into a more relaxed, enjoyable and peaceful state. Because, you cannot solve your problems, be your best self, be your creative best, be more confident, be at your peak efficient best, overcome your emotional issues or move forwards. If you're stuck in a negative or stressful energy state. Self hypnosis is a safe and natural tool, then will take you away from your emotional pain and move you towards a better feeling place. When the odds seem stacked against you, and you find that nothing seems to be working for you. Then self hypnosis can get you out of a bad feeling and negative place and transform you into a positive and good feeling place. If you're ready to make powerful and long lasting positive changes, then why not give self hypnosis a go. If your interested in giving self hypnosis a go, visit the website below and browse over 1000's professional self hypnosis sessions. Hypnotist only focuses on positive thoughts, suggestions and imaginings. If you're ready to take advantage of the powerful therapeutic and motivational, positive benefits of self hypnosis. 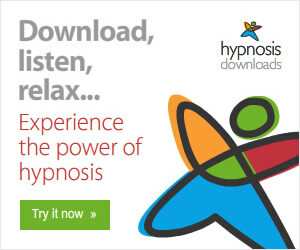 Then scroll down this page and browse through over 800 self hypnosis sessions created by the world's largest and most popular online self hypnosis download. Not so long ago, if you wanted to benefit from the power of hypnosis, you would have to go and travel to the nearest hypnotherapist that was available to you. For many, if there wasn't a hypnotherapist available locally, this could prove inconvenient, time consuming and quite expensive. But thanks to the internet, you can now download a inexpensive life changing self hypnosis recording in a matter of minutes. This means that you can have your own private professional hypnotherapist who can help you bring about life changing results at your beck and call. If you don't know much about a topic it's easy to be suspicious. Some people assume hypnosis is akin to a carnival side show, others consider it mystic mumbo jumbo or 'mind control.' For those who look beyond the hype the truth is far more illuminating. There are potentially huge benefits for those who use hypnosis as part of everyday life. When you understand hypnosis you start to see its potential to improve human performance in the physical, emotional and intellectual realms. For me, rumour, gossip and suspicion weren't good enough. I determined to learn all I could about hypnosis - I learned every fact and practiced every technique under the sun. I took several training courses - some good, some terrible. Incidentally, I also stopped myself blushing with hypnosis. Now if ever I have a difficult call or conversation coming up, something I may naturally feel reluctant to do (you know the kind of thing) I spontaneously self hypnotise and rehearse the upcoming situation feeling good, with myself remaining calm. In this way I habitually set my own emotional 'blue prints' for up coming situations. Having said that it's naturally that some people have concerns or half digested 'hand me down' ideas regarding hypnosis. A common one is the one about 'mind control.' However, what does this really mean? If someone expresses concerns about being 'controlled' in hypnosis what they mean is they don't want to be like a robot, an automaton that is forced to obey the every whim of the hypnotist. We can't help but influence others, but we don't control them. To understand why you need to understand hypnosis better. Hypnosis isn't like a coma. It's not unconsciousness - more a subtle shifting of consciousness. In hypnosis, you can still think logically, but you also have access to the 'software' of your mind so that you can update instinctive emotional and physical responses. In fact the hypnotised subject (not the hypnotist) calls the shots. When I hypnotise someone I need to go at their speed and respond to their needs and expectations. Hypnosis will give you more control in your own life because of what it enables you to do. Hypnosis is your birthright. It's nature's optimum learning tool. In fact to learn and perform anything well you need to experience a natural focussing of attention, a natural kind of hypnosis. To be successful hypnosis needs to be your companion and friend. So the young man can ask a woman out for a date many times in calm relaxed hypnosis so that by the time he does it for real it feels real and natural and relaxed. Sports people who use hypnosis learn new quicker and more accurately. So hypnosis gives you more control of yourself and your life, it's natural and gives you instant benefits and it's a way of 'trying on' and establishing new patterns of emotional response and behaviour, Hypnosis enables you to develop yourself as a human being. HypnosisDownloads.com offer a free course called 'Learn Hypnosis in 5 Days'. Hypnosis is now gaining scientific and medical backing. David Spiegel, from Stanford University conducted a series of experiments that revealed to the American Association for the Advancement of Science how hypnosis can influence the brain. The reasons why most people fail to make the positive chances that they desires or to the reason why they do not unlock their hidden true potential is because they become limited by their past negative program. Most people will use will power to try and make the changes they want, but will power works with the conscious mind on a conscious level, so often will power is short lived, and people quickly return to their old bad ways, thinking patterns or habits. To make long lasting and permanent changes, you need to operate and work on a subconscious level, where you need to reprogram your all powerful subconscious mind, and self hypnosis will help you to do this. What you do today will have a big influence on your future. Hypnosis has been around for centuries and it is used today more and more, for a very good reason, it works. The many benefits of self hypnosis, range from. Self hypnosis can change your life for the better in many ways, it can help you create a wonderful life, it and it can assist you solve lifelong problems very quickly. There are many misconceptions regarding self hypnosis. Some people are worried, because they think they won't be in control or they will be, hypnotized to do things you don't want to do. Others may see it as a form of mind control. The real truth is. Hypnosis only helps you to let go or change any limiting and unhelpful habits, negative thought processes, bad habits and negative emotional patterns and responses. Hypnosis, is nothing more than guided imagery and the implementation of positive and enhance positive thinking patterns that are only in your best interest. All self hypnosis is what you do when you're in a natural daydream state, and you'll be well aware of everything that happens during a self hypnosis session. All your morals and standards of behavior will remain with, and you'll always be fully in control at all times. The word trance can, also, concern some people. But, everybody enters a trance like state, many times a day, like when you're reading, driving or engrossed in a film. A trance is just another way of describing a deeply relaxed and enjoyable, good feeling state of being, which is essential to help you reduce your stress and give your body time to rest, restore and repair itself. All self hypnosis sessions, will guide you into a very relaxing and enjoyable, deeply relaxed state, which in itself, will provide you with many positive health and well-being benefits. Self hypnosis is also a very powerful and proven technique and tool, to bring about quick and positive changes. Our brains are very powerful processing machines that are influenced by our programming and how we react to our external influences. Our negative programming, bad habits, learned behaviors and external conditioning, can become hardwired into our brains. Once they have become hardwired into our brains. We can remain constantly stuck with these negative thought processes and emotional patterns and responses. This can severely limit and restrict us, in many unhelpful, negative and self limiting ways. If you want to create the life you want today or you want to break free from the grip of your negative conditioning, your negative memories or your emotional baggage. Then changing your thinking to be more positive, along with changing our emotions, is extremely important and essential for you to better yourself and achieve all your goals. Self hypnosis is an incredibly powerful tool, that can assist you to take back control of your mind, feelings and actions. Which will allow you to change your negative thinking and emotional patterns. Self hypnosis can achieve this for you by helping you to either forget about, let go of or change those negative thought processes, bad habits, negative emotional patterns and all your other self limitations, limiting beliefs and insecurities. This will help you to better yourself, in any area of your life that you choose, as well as supplying you with some much needed rest and relaxation. The main positive benefits of self hypnosis are. It will help to relax you, which will reduce your stress and anxiety. And we all now know, the health risks and dangers of stress. Plus, it will help you, change your negative conditioning, change your negative thought patterns, increase your self confidence, help you become more successful, and much, much more. We all have the ability to feel good, and we all have the ability to become and do, anything we set our minds to. Most people either fall into one of two categories. You can either emotionally suffer, struggle and go on a self destruction mission, or you can live a happy and fulfilled enjoyable and successful life. Self hypnosis is a powerful tool, that will help you transform over to the happy, fulfilled and successful category. If you want to get the best out of yourself, your life and self hypnosis, You have to first want and desire to change and better yourself and your life. If you want to transform your life in all area's, replace deep rooted limitations and better yourself. If you want to become your best version of yourself. If you want to feel more relaxed around people, if you want to express your positive traits, live happily and develop your inner talents and limitless abilities. Then why not go over a browse through over 1000's self hypnosis sessions created by the worlds largest and most popular online self hypnosis download site by clicking on the link below. We all know that if you want to create the life that you want, if you want to be successful and if you want to be the best version of you. Then you have to change your thinking to be more positive as well as changing your feelings and emotions. It is extremely important, to feel good, calm and in the zone. Because, these positive and calm feelings and positive mindset, are the foundation, of good health, happiness, well-being, confidence, better relationships, achieving our goals and success. So it is extremely important, to be at your best and for you to feel your best. However, most people are stuck in negative thinking patterns and they constantly experience negative emotions such as, anger, anxiety, frustration, sadness, shame, embarrassment and guilt. Everybody wants to feel great and confident and everybody wants to be more successful and to be the very best version of themselves. Nobody chooses to suffer emotionally, nobody wants bad habits, nobody wants to be limited, nobody wants to be fearful and nobody chooses to have low self esteem, low confidence levels, feelings of insecurity and to think negative thought patterns. What many people do not realize is. Negative thinking, negative responses and negative emotional patterns, become hardwired into our brains and system. If you want to replace your bad habits, change the way you feel, eliminate negative emotional patterns thinking, blocks and associations. Therefore, if you would like to feel good, be more successful, feel healthier, be more confident, be more successful, and to live your life from as the best version of you. Then you need to change your negative thinking patterns, negative beliefs, negative neural associations and negative and fearful emotional patterns. Your mind works through pattern recognition and association. During your life experience, you create many new neural connections and associations, which become hardwired into your brain. If you create a negative or fearful neural association. Then this becomes stored as a program within your emotional part of your mind, which affects, how you think, feel, react and behave. Your negative beliefs, thought processes and neural associations also influence and negatively impact your actions, behaviors and what you do or do not do. Most people want to change their negative programming and emotional responses. Either, to make them feel better, boost their confidence, lose weight, change a bad habit, improve their health, make them more successful or to help them perform better. But, they struggle to make the desired changes, because they are stuck in a negative, anxious or stressful state of mind and body. This makes it very hard to implement their desired changes, in fact. When people with things like low self esteem, anxiety, depression to name a few. Attempt to make the positive changes for themselves and their lives. Very often, they end up feeling worse or they fail to achieve their goals. If you want to eliminate any, emotional patterns, replace bad habits, negative programming or you want to make the positive lifestyle changes and personal developments you desire. You have to already be in a relaxed and calm state of mind, before you can make the necessary changes and life changing imporovements. This is the reason why self hypnosis is so powerful and effective. Because, self hypnosis will relax your mind and body first, allowing you to remove any negative neural association and emotional response, and replace them with good feelings or neutral responses. Or self hypnosis will allow you to make the necessary positive changes you require, whilst you're in the desired, calm and restful, deeply relaxed state. If you try to change, when you're in a tense, stresses or negative state, you will run the risk of making the negative neural associations stronger and more intense. Now you know that you have the ability, tools to make the positive changes that you want and you have the resources to end your emotional suffering and to become more confident and successful. Because. Why carry on struggling and missing out on the good life that you can have or why stay in the self destructive, cannot change, cannot achieve and why stay stuck in negative emotional states that hold you back, limit you and make you feel bad. The only thing that holds you back and keeps you emotionally suffering are you negative beliefs, your broader play it safe, limited mind and your negative programming and emotions. Self hypnosis will help you transform from the bad life to the good life. Throughout our lives, we collect so much emotional baggage, bad experiences, fears, bad habits and limiting beliefs that we carry with us into each new day, all of which disrupt our lives, make us feel bad, keeps us stuck, rob of us of our happiness and block off our true creativity and potential. Your past negative conditioning will carry on causing you emotional pain and it will hold you stuck in the negative past until these mental negative programs and faults of your mind are fixed, released, changed or replaced. Self hypnosis is a great and proven way of changing and replacing your negative programming, because it's a natural and powerful way of positively changing the way you think, behave and feel. The reason why self hypnosis is so successful in making powerful and lasting changes is because it deals with thoughts, feelings and learned associations and patterns of behaviours too and it allows you ccess the control panel of your mind so you can change your bad and unwanted programming. All our previous conditioning, bad neural associations and experiences control your thought patterns, actions and behaviours and they control almost everything we do or don't do. Our beliefs and conditioning control everything, including the way we perceive our world. Our thoughts and feelings, lead to our actions, habits and behaviours, and if they are negative and limiting then they will cause us much pain, suffering and severely hold us back in every area's of our lives. They have a saying in computer language, garbage in, garbage out, the same applies with your own mind, so if you have bad programming, then it is time to replace it, with new positive beliefs, habits, neural connections, habits and behaviours. If you're thinking about trying self hypnosis then you probably want to clear up so of the old myths and preconceptions regarding it. Sadly, most people still have lingering doubts about giving hypnotherapy a go which can cause them to miss out on one of natures most powerful tools available to make positive and permanent changes. When you first mention using hypnosis to most people, they are usually unsure or they react negatively mainly because their idea of hypnosis is one of the people on stage being controlled and made to perform all sorts of weird antics against their will. This is often because most people have formed the wrong impression as regards to self hypnosis, they tend to perceive it with a stage show or even messing about with the mind. This portrait that has been painted however, could not be further from the truth, the benefits and advantages you will gain from using self hypnosis are immense and it's one of those things that will guarantee you some health benefits. Stage hypnosis is just a harmless bit of fun, it's a show and the volunteers are willingly taking part and it is nothing like the therapeutic self hypnosis which is completely safe, highly relaxing, beneficial and totally different. The truth is, self hypnosis cannot make you do something against your own will, at no point do you lose control and it is a proven and natural way of helping people to make life improving positive changes. Hypnosis are widely used to successfully overcome and cure just about everything ranging from overcoming fears, breaking bad habits and building self confidence. What is hypnosis? Hypnosis is a perfectly natural and very pleasant process and experience which everybody does naturally on a daily basis a bit like day dreaming only much more relaxing. Hypnosis is just a deeply focused and relaxed state of mind and body which can alter your neurological and physical perceptions for the better. People freak out at the thought of going into a trance, but a trance is nothing more than an altered state of awareness and it is something people go into all the time when they're driving for long periods or their deeply engrossed in a book. Every emotional state you go into and you're always in one is a form of trance and state of being, the problem for many is they get themselves stuck in destructive negative states. Self hypnosis will allow you to break out of the grip of those painful negative states. All our compulsory behaviours and habits, emotional responses and beliefs are controlled by our subconscious mind, therefore if you want to make any positive and lasting changes you have to communicate and work with your subconscious mind. Your subconscious mind also holds and stores all your past bad and traumatic emotional experiences which can cause people much pain and suffering. Self hypnosis will allow you to access your subconscious mind so you can change or deactivate all your destructive negative memories and unwanted patterns of thinking. Hypnosis is so effective because it is a method that will allow you to communicate with your subconscious mind so you can correct, improve or replace virtually anything you want or anything that is not serving you well. Why hypnosis is so powerful is because it operates at the same subconscious level as all your bad habits, negative beliefs, unwanted and involuntary behaviours as well as all your problems, worries, limitations and fears. During your session you will be guided by the voice of the hypnotherapist into a very deep and enjoyable state of relaxation. The reason why most people struggle to make the changes they seek is because they try to make them when they're in the wrong physical and emotional state and place. If you try to make changes when you're feeling negative or stressed then you will run the risk of making things even worse. In order to change you first have to be in a calm and relaxed state of body and mind because when you're stuck in a negative state your minds will be focused more on the problem instead of the solution or cure. Self hypnosis is a very calming experience that will not only allow you to make some positive changes to your life and once you have been induced into a relaxed and highly receptive and suggestible state the hypnotherapist will work with you on a subconscious level so you can make the necessary changes, adjustments or improvements. Once your mind and body is calm the hypnotherapist will present your subconscious mind with new positive idea's, alternative and better ways of perceiving or doing things and your mind will become open to these brand new positive possibilities. To change your life, to better your skill levels, to rid yourself of bad habits or to solve or melt away problems, you have to be in a relaxed state and frame of mind. Because it is only when you have reached a deep and relaxed state, can you maximize the benefits of your body and mind and resolve any emotional and mental issues. All problems can be resolved and all the answers and solutions that you're seeking can be found in the relaxed alpha state, and as self hypnosis is a highly efficient way to relax quickly and deeply, then this means it is a great way to make those positive changes that you want. The phase between awake and sleep is where the human brain enters the alpha state, this is the stage, where you can access your true powers and make life improving changes. When we are wide awake, our brain is mainly in a beta state, but as we start to fall sleep, our muscles will begin to soften and our brainwaves and our body's energy will start to shift into the relaxed alpha state. The alpha state is a light, relaxed hypnotic state, where we are still focused, but we become very receptive and open to change. The reason why self hypnosis is so powerful is, because you can induce this state alpha relaxed and receptive state through hypnosis. Then, when you combined with the skills of the hypnotherapist with this deeply relaxed and receptive state, then you can take full advantage of this window and opportunity to, release the past and make new positive associations and creative changes.